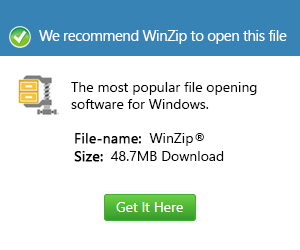 What is a rzk file and how do I open a rzk file? Files with the RZK extension contain details associated with the encrypted data stored in files saved in the RZX format. These RZX files are text documents encrypted using the Red Zion File Crypt application. Users can encrypt the content of their text documents and secure it by generating a unique password using this application. The Red Zion File Crypt application generates a password for a text document, and this is done right after it integrates its encryption functionalities into the content of the text document. This text document is then saved in the RZX format, and an RZK file is then created by the Red Zion File Crypt program. This newly created RZK file is associated to the corresponding RZX text document and is stored in a secure directory. Upon clicking a text document in the RZX format, the user will be prompted to enter the correct password to access the content of the text document. When the user enters a password, the Red Zion File Crypt application then finds the RZK file associated to the RZX file, in order to retrieve the password details generated for the RZX file. When the password is verified, the user can access the content of the RZX text document. If the user enters a password that does not match the password details stored in the associated RZK file, then the Red Zion File Crypt application prohibits the user from accessing the content of the RZX text document. Even if popular text editors like Microsoft Notepad and Microsoft Wordpad can be used to open and view files in the RZK extension, the actual password details are not accessible to the user in this RZK text document, since the Red Zion File Crypt application also encrypts the content of these RZK files.